The theme for this month is Masculine and Fathers Day is also around.Today for your inspiration I have a photo frame and a gift tag.I have tried combining some handmade flowers with sentiment tiles.Let me show you a quick picture of these. This time I worked with Papericious sigma cardstock to make these flowers.Coloring has been done with Distress inks.After that added Crystal Clear powder with the help of multi medium matte.I was pretty happy with the outcome.After attaching all this to photo frame,i attached sentiment tiles on the right hand top side. On the tag,I have done distressing first and stamped the sentiment with Black Archival Ink and added diecut. This one was super quick. Let me share some close ups of this now. Hope you enjoyed it. 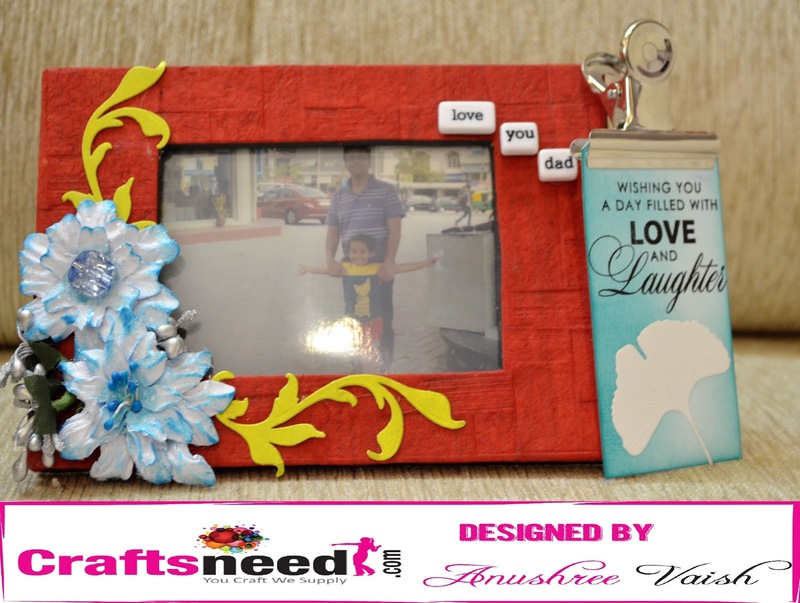 Don't forget to participate in current ongoing challenge on the blog.All supplies for the project is from Craftsneed.com .